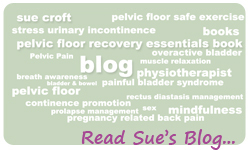 A blog is simply a collection of articles written by Sue. 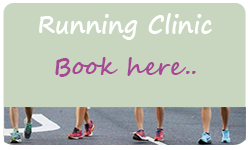 There are articles about pelvic floor dysfunction, bladder and bowel problems and lots more. There are category boxes in the top panel of the Sue Croft Blog site. Just click on the relevant box such as prolapse and then read all of the articles related to prolapse. Sue will often refer you to a particular article or blog to read to further explain about different conditions. Some of Sue’s favourite articles are on the link on the website called ‘Articles’ (on the top header) so they are easy to find. Make sure you read your way through them to enhance your learning experience. Please feel free to share these articles with your friends and relatives to help them understand more about the bladder, bowel and pelvic floor. From reading these blogs (or articles) you will start to see the urgency of the situation and just want to get started! Arthur Ashe once said: ‘Start where you are. Use what you have. Do what you can.‘ Education is the beginning of everything and it’s all pretty easy once you have grasped the facts. So I encourage you to read, read, read!